This weeks neighborhood spotlight is about the Roosevelt neighborhood. Located south of Sunset Drive, Roosevelt is Bellingham’s most populated neighborhood according to the 2010 census. The neighborhood includes all sorts of different types of housing: single-family and apartments, historic and new, large and small. The neighborhood truly does have something for everyone. Nestled directly south of Alabama Hill, residents of the neighborhood have a spectacular view of the city and Bellingham Bay. While most of the neighborhood is residential housing, there is a small amount of industrial land. There is also a small commercial area and the northeast corner of the neighborhood. The Roosevelt neighborhood has everything you could need in a place to live, but is also close to everything else Bellingham offers. Activities are in no short supply when living in this amazing neighborhood. Located in the dead center of the neighborhood, Roosevelt park has many different activities, including a children’s playground, a basketball court, and a loop trail. It is a popular location for a adults and families alike. There is also the Railroad Trail, which is used by walkers, runners and bikers. 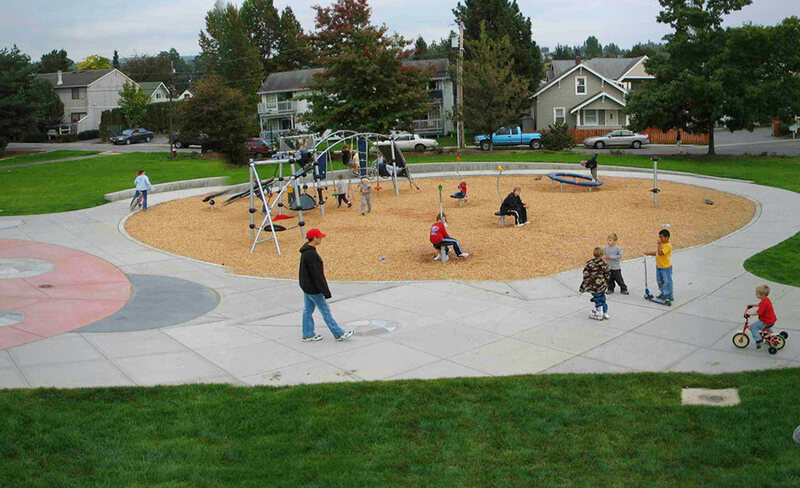 It leads through Whatcom Falls Park, Barkley Village, and other residential neighborhoods. If you’re more of an indoor person, the neighborhood is located in between Bellingham’s two major shopping destinations; Bellis Fair and downtown Bellingham. As is the Bellingham standard, students in the neighborhood are provided with a top of the line education. All elementary schoolers in the neighborhood attend Roosevelt Elementary, but get get split up once they reach middle school. Depending on where they live, middle schoolers either attend Whatcom Middle School or Kulshan Middle School. Students remain separated in high school, attending either Bellingham High School or Squalicum High School. Interested in living in the Roosevelt neighborhood? We don’t blame you! Check for local listings at our website here.